Introduced at Google I/O this year and implemented in the stable version 45 of Chrome, Chrome Custom Tabs aim to make browsing from third-party apps as fast, unintrusive, and seamless as possible. 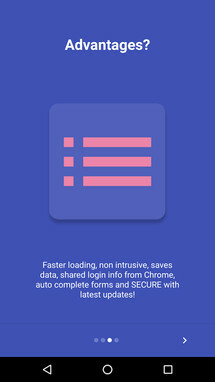 Instead of developers relying on System WebView to load links from their applications, they could implement Custom Tabs to open these links in a faster page that sits on top of the app and uses Chrome's rendering and data saving capabilities, has access to its saved passwords and autofill information, and benefits from its security updates. However, not all developers have implemented Chrome Custom Tabs and that's where Chromer comes in. When you set it as your default browser on any Android device running 4.1 Jelly Bean and above, it takes over your links and opens them in a Custom Tab. 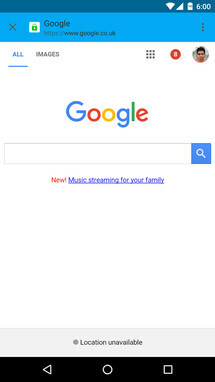 This means that you'll get all of the advantages, without having to open the full Chrome browser to check a page. 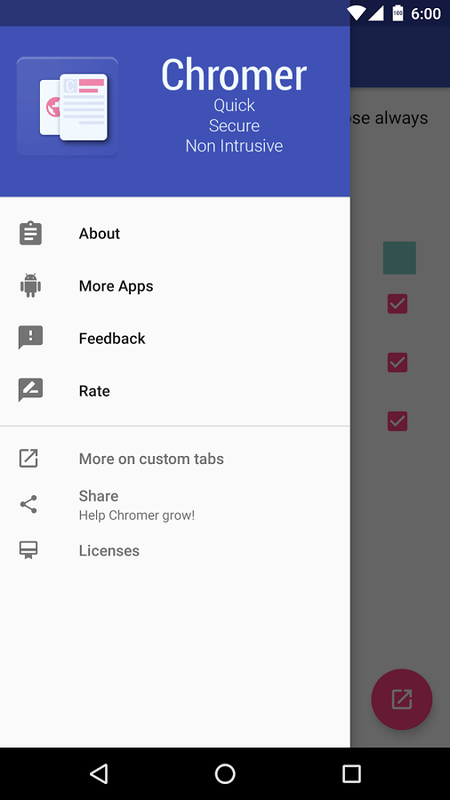 Since the decoupled System WebView only supports Android 5.0 and above, the app is even more beneficial on devices running older versions of Android as it allows them to make use of Chrome's security updates without being tied to their antiquated WebView app. 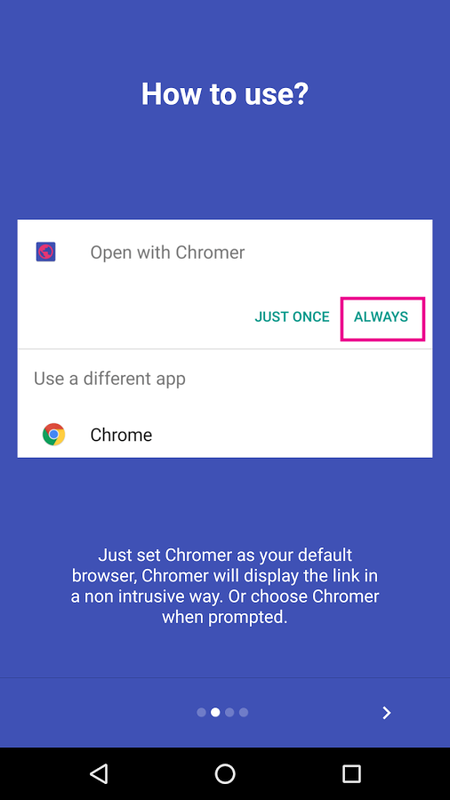 I've been testing Chromer for a couple of hours and it seems that everything works as expected. 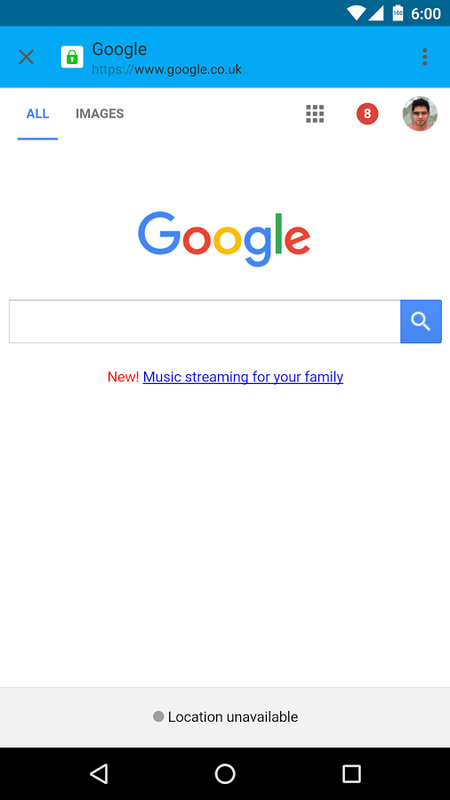 On my Nexus 5X, clicking links from other apps now opens them in Chromer, which feels like a lighter but fully featured version of Chrome. 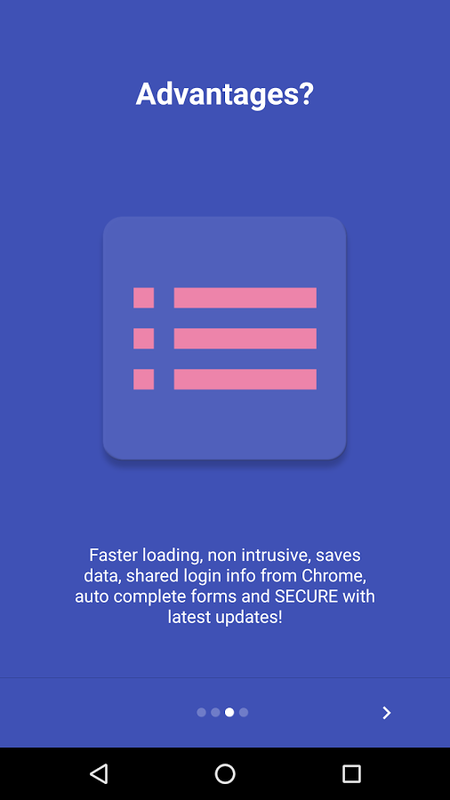 The settings are sparse, but you really don't need much for an app that's supposed to work, undetected, in the background. 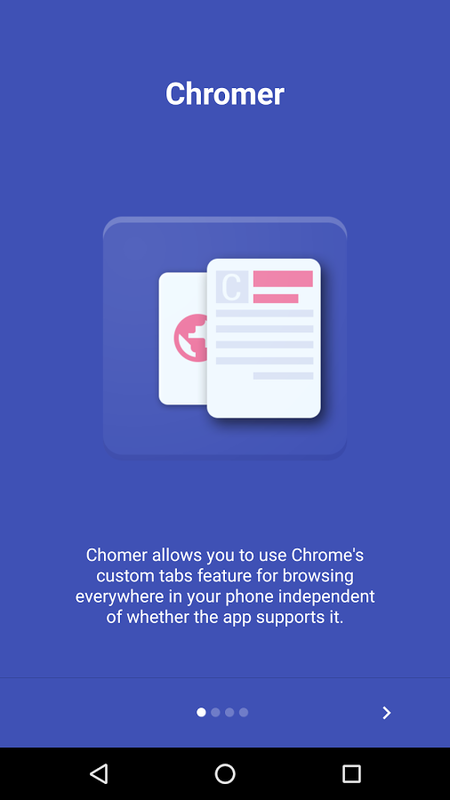 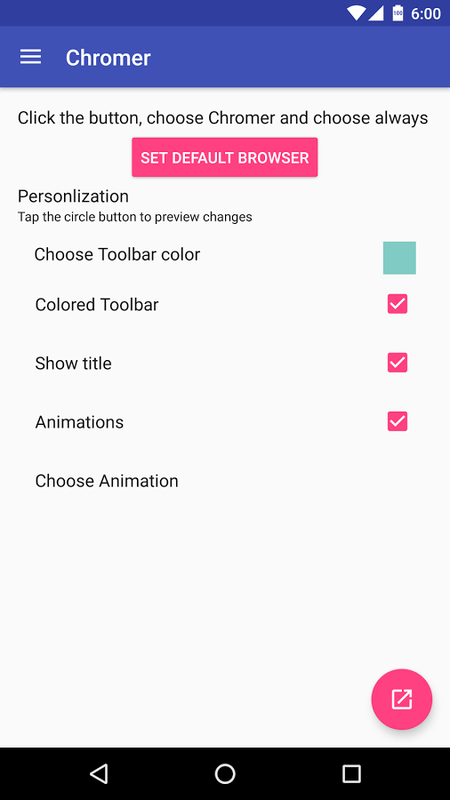 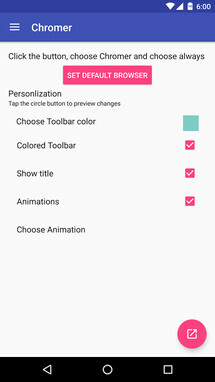 Chromer is free in the Play Store, but make sure you're running a version of Chrome that supports Custom Tabs (ie v45 and above).